ConnectEd workers have noticed a spike in reports of missing off peak controlled load. Controlled load, also called “dedicated” or “ancillary” load, “off-peak”, or “OPCL” (Off-Peak Controlled Load), is commonly used to power electric storage hot water systems – any tank of 125 litres or larger. It used to be called “J tariff”. The dedicated controlled load circuit is controlled by a timer which typically switches the circuit on after 11pm, and off again at 7am, so that the electricity is available for use during the wee small hours of the night, when little else is using the electricity system. Traditionally, the energy used by controlled loads was considerably cheaper than the energy used by everything else in a household, at about half price – though recently, this price advantage has become a lot more variable. We have a number of recent reports of people becoming aware that their large electric storage hot water systems (HWS) are not wired up to a controlled load circuit, as they should be. It’s not always clear when or why the hot water system has been removed from the correct tariff. Often, this has occurred in rented homes, so the tenants have a degree of distance from the maintenance of the HWS. The result is that these householders are paying more than they should be for hot water – potentially more than twice as much. 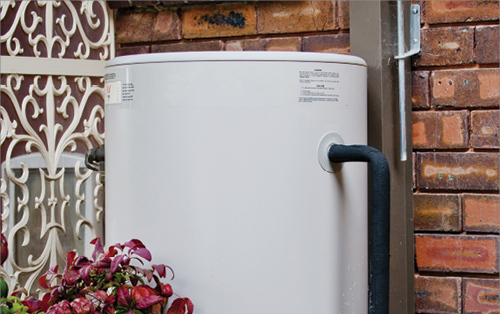 With water heating needing about a quarter of the energy used in the average Australian home, this can be a very significant extra cost. Our advice is to determine whether a hot water system is eligible for this tariff (if there’s an electric storage tank, check the label for capacity in litres: is it 125 litres or larger? ), and check the bill to make sure it’s being charged at a separate, reduced price. If you have found controlled load to be missing, please send us the story at ConnectEd@ucwb.org.au– we’ve found it can be difficult to get this fixed, and we’d like to collect these stories for the attention of policy makers.